The earth's subsurface contains abundant and active microbial biomass, living in water, occupying pore space, and colonizing mineral and rock surfaces. Caves are one type of subsurface habitat, being natural, solutionally- or collapse-enlarged openings in rock. Within the past 30 years, there has been an increase in the number of microbiology studies from cave environments to understand cave ecology, cave geology, and even the origins of life. 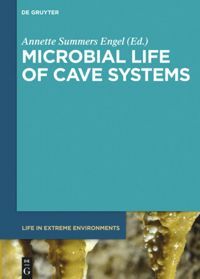 By emphasizing the microbial life of caves, and the ecological processes and geological consequences attributed to microbes, this book provides the first authoritative and comprehensive account of the microbial life of caves for students, professionals, and general readers. Click here for more information. Associate Professor Annette Summers Engle is the lead editor of this volume. Megaflooding is the sudden discharge of exceptional volumes of water. Megafloods have significantly altered the terrain of Earth and Mars, and may have acted as triggers for climate change on these planets. Recently, research into megaflooding has made important advances: on Earth, real-time measurements of contemporary floods in Iceland complement research into older and larger terrestrial floods, while on Mars terabytes of data from several spacecraft orbiting that planet are dramatically revising our view of flooding there. 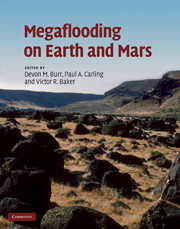 Beginning with a historical overview of flood science, the book presents sections on morphology and mechanisms, flood sedimentology, and modeling, each illustrated with examples from Earth and Mars. By juxtaposing terrestrial and Martian research, this volume creates a unique synthesis to further our understanding of these enormous paleoflood events. It is an invaluable reference for researchers and students of hydrology, geomorphology, sedimentology and planetary science, as well as environmental and hydraulic engineers. Assistant Professor Devon Burr is the lead editor and a major contributor to this volume. In the first interdisciplinary introduction to cosmochemistry, this textbook provides the answers to questions such as 'how did the chemical composition of the Solar System evolve.' It makes this exciting and evolving field accessible to undergraduate and graduate students from a range of backgrounds, including geology, chemistry, astronomy and physics. The authors - two established leaders who have pioneered developments in the field - provide a complete background to cosmochemical processes and discoveries, enabling students outside geochemistry to understand and explore the composition of the Solar System. Boxes provide basic definitions and mini-courses in mineralogy, organic chemistry, and other essential background information for students. Review questions and additional reading for each chapter encourage students to explore cosmochemistry further. Professor Hap McSween is the lead author of this volume.